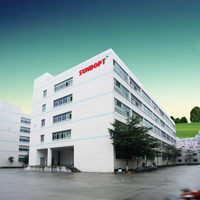 ﻿ LED Tube, LED light, LED Bulbs manufacturer,Supplier - Sundopt Co., Ltd.
SUNDOPT LED Lighting Co., Ltd. is a high-tech enterprise which is specialized in development, production and marketing of indoor LED lighting products. We are established in 2004 and awarded as vice president enterprise by Shenzhen LED Industrial Association in 2010. Our main products include LED tube, LED ceiling light, LED track light, LED bulbs, LED spotlight, LED PAR lamp etc. Our products have been highly approved by customers from Europe, North America, and Australia for its excellent quality.